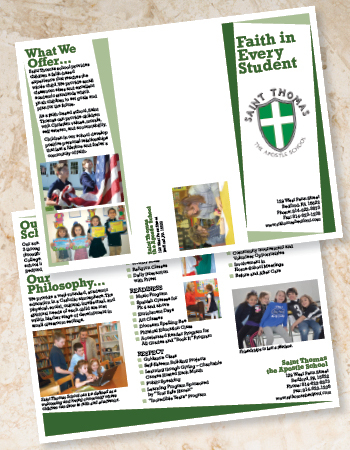 A custom brochure is a great way to communicate key messages to your audience about your products and services. We serve local and regional clients who are looking for professionally produced print brochures and digital brochures. Some options include: Accordion Brochures, Bifold Brochures, Color Brochures, Gatefold Brochures, Quad-Fold Brochures, Trifold Brochures, and V-Fold Brochures. Our experts design your brochure with your organization in mind. Printed brochures help you establish credibility while conveying your service offering. Bring us your brochure project and we’ll help you get the conversation started with your audience. Don’t have enough content to fill a brochure? Think about getting some custom flyers printed instead.